Watch the trailer for Sky Atlantic HD’s new seven-part comedy, ‘Hunderby’, from Bafta nominated writer and actress Julia Davis (Nighty Night). Hunderby, set in the 1800s, features Helene (Alexandra Roach, The Iron Lady), a shipwreck survivor washed ashore near a small English village. There, she is swept off her feet by widowed pastor Edmund (Alex MacQueen, The Inbetweeners, This Is England 88) and the two soon marry, the puritanical Edmund believing his bride to be untouched by another man. But she has a history, a dark past that she cannot escape. As Helene moves into Edmund’s home, she falls under the watchful eye of housekeeper Dorothy (Julia Davis) who is more than a little involved in her master’s life, and quite obsessed with his dead first wife, Arabelle – to whom Helene simply does not compare. While Helene battles to keep her past a secret, she must navigate Dorothy’s devious scheming, her husband’s harsh critique and a potential new love interest. Also starring are Rufus Jones (Holy Flying Circus), Rosie Cavaliero (Spy), Jane Stanness (Nighty Night), Rosalind Knight (Midsomer Murders), Rebekah Staton (Spy), Ben Bishop (Whitechapel). Alexander Armstrong (The Armstrong & Miller Show), Daniel Lawrence Taylor (How Not To Live Your Life) and Kevin Eldon (This Is Jinsy). 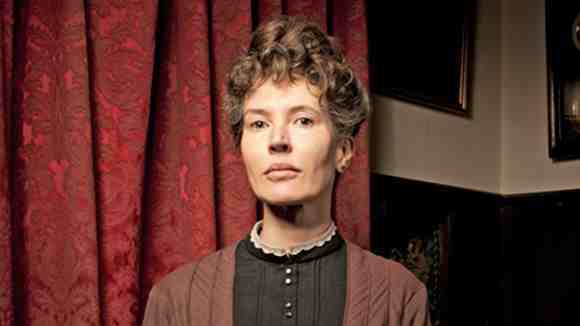 ‘Hunderby’ is Julia Davis’s first series since the award-winning ‘Nighty Night’ and will air on Sky Atlantic in summer 2012.